A fantastic addition to our large section of vintage and antique chapel and church chairs. 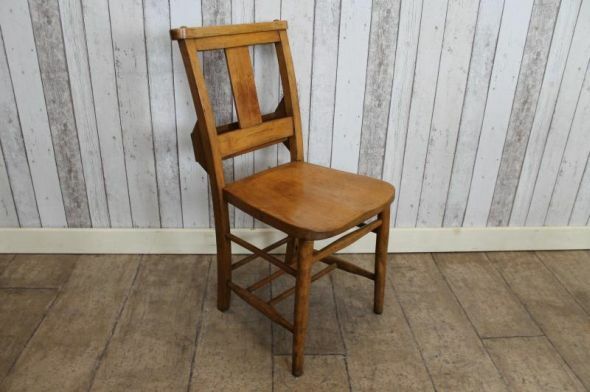 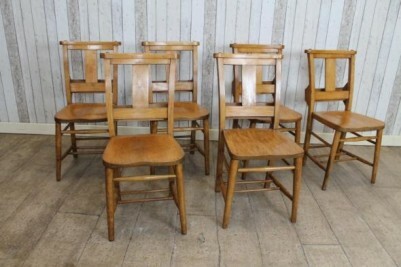 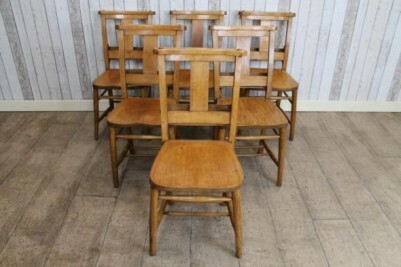 These beautiful, medium brown, solid elm seated chapel chairs are ideal for any kitchen or restaurant. 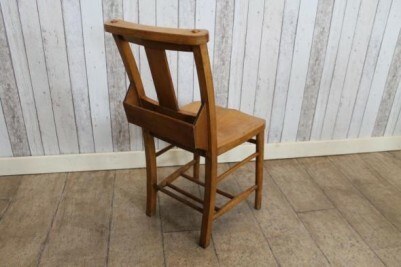 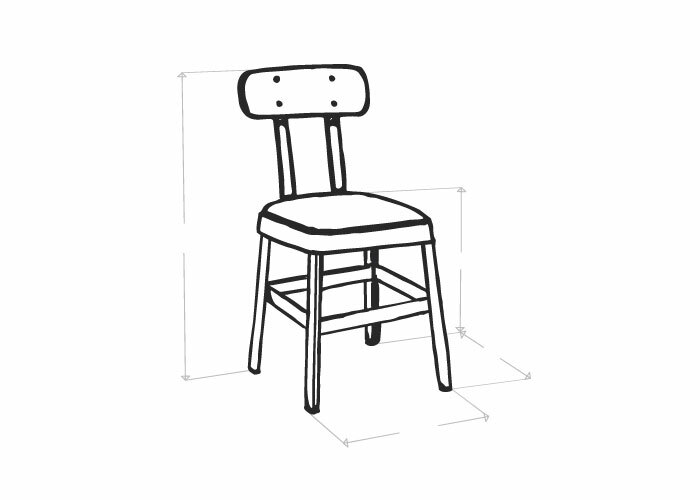 All chairs are extremely sturdy and in excellent condition. 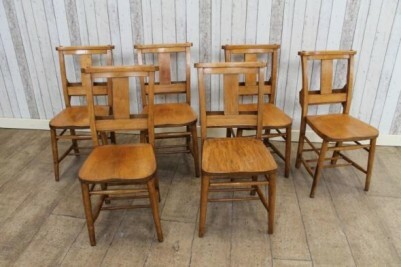 Please note that the price stated is for one chapel chair but we do have a large quantity available.